The wine estate Egon Schmitt was founded in 1976 by Inge and Egon Schmitt with a size of about 7 hectares wine growing area and a few apple plantations. Prior to this, the business produced grapes for a local cooperative. In the meantime the vineyard grew to a size of more than 12 hectares. 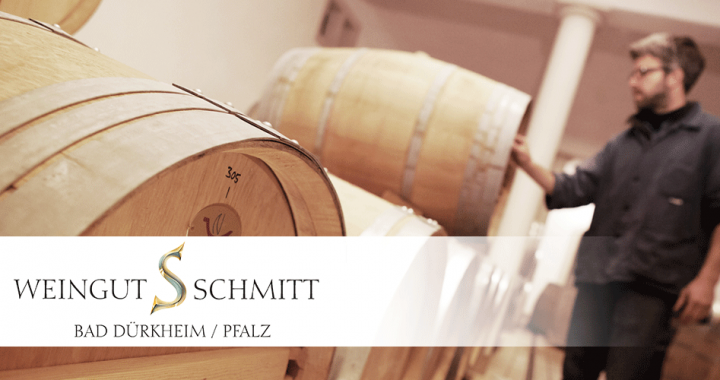 Since 1996 Jochen Schmitt has been involved in the business after finishing his studies. The company already works according to the principles of controlled environmentally friendly viticulture. Work in the vineyard and the cellar are characterised by a harmonic combination of sense of tradition and modern practices. In this sense there has for example already been a research project with the University of Applied Sciences Geisenheim. Besides Riesling, the vineyard cultivates Pinot Blanc, Pinot Gris and Chardonnay. The red wines produced are Pinot Noir, Dornfelder and Cabernet Sauvignon. All sites are located nearby Dürkheim (Dürkheimer Nonnengarten, Spielberg, Ungsteiner Hochbenn, Fronhof, Herrenberg and Steinberg).